KwaZulu-Natal scraped home against their Inland rivals, North West’s huge score was too much for Border, while South Western Districts clinched a late victory over Northerns. North West completed a narrow win over a resurgent Border, while the KZN teams, South Western Districts and Northerns all played out to exciting draws. KwaZulu-Natal Inland are in a strong position against their coastal neighbours, while North West are on the verge of a win over Border. 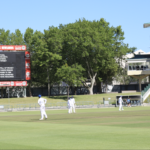 Free State won their CSA Provincial One-Day Challenge match against KwaZulu-Natal by three wickets with three balls to spare, while SWD, Northerns and EP all had comfortable wins. 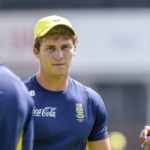 Free State’s Raynard van Tonder scored a monumental 250 not out as all three matches in the latest round of CSA 3-Day Provincial Cup matches ended in draws. The big city teams all lost their clashes in Sunday’s round of CSA Provincial One-Day Challenge matches, with North West, Easterns and Northern Cape enjoying exciting wins. Gauteng sneaked home by five runs over Easterns after a late rally left the Benoni Boys agonisingly short of a win, while North West and Western Province enjoyed comfortable home victories in the CSA 3-Day Provincial Cup. 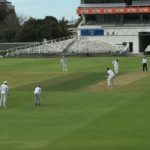 Western Province made Northern Cape chase leather – with all six batsmen passing 50 – while KwaZulu-Natal have batted themselves into a strong position against North West in the CSA 3-Day Provincial Cup. 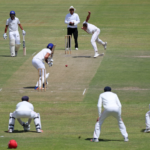 All three hosts in the latest round of CSA 3-Day Provincial Cup matches ended day one with the upper hand, with Western Province best-placed against the youngsters from the Northern Cape. In celebration of women’s month, the Dolphins will host a Women in Sport and Business Brunch on 30 August at Kingsmead Cricket Stadium. 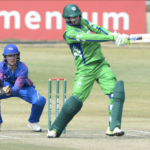 Andries Gous’ unbeaten half-ton kept Free State’s Africa T20 Cup hopes alive as they thumped KwaZulu-Natal by nine wickets in a bonus-point win. 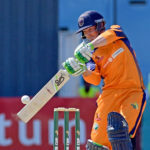 Boland produced a solid all-round performance to beat KwaZulu-Natal by four wickets in the Africa T20 Cup in Paarl.